Rusty Young, a twenty-something Australian law graduate, was backpacking in South America when he heard about Thomas McFadden, an English drug trafficker who ran tours inside Bolivia's notorious San Pedro prison. When Rusty met Thomas, they formed a surprising yet instant friendship and then became partners in an attempt to record Thomas's experiences in the jail. The result is one of the most compelling prison stories of all time. 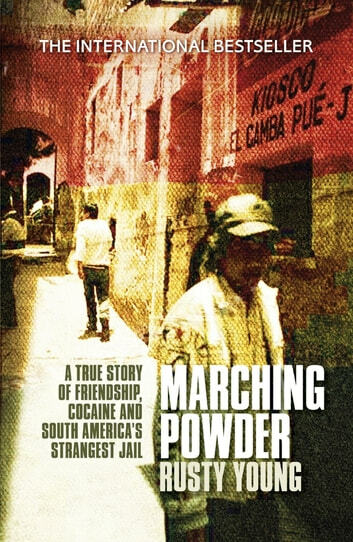 Marching Powder is a shocking, sometimes darkly comic account of life in San Pedro. In this bizarre prison, inmates are expected to buy their cells from real estate agents. Others run shops and restaurants, and women and children live with imprisoned family members. 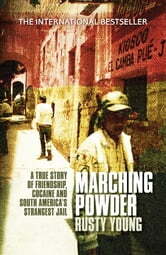 Violence and crime are never far away, and the jail contains some of Bolivia's busiest cocaine laboratories. In San Pedro, cocaine makes life bearable - even the prison cat is addicted to crack. Thanks for the great read.. not only a compelling account of Thomas's time in San Pedro but an interesting insight into the Bolivian people and a culture that lays beneath.. all the best Thomas McFadden..